Born on June 6, 1959, Quinn was born and raised in the Park Slope neighborhood of Brooklyn, New York City, the son of teachers. He is of Irish descent. He attended the State University of New York at Stony Brook, in Stony Brook, Long Island, but did not graduate. He stopped drinking in the early 1980s after several bad experiences with alcohol, including blackouts and arrests. Quinn began performing stand-up comedy in 1984, and first achieved fame in 1987 as the sidekick announcer of the MTV game show Remote Control, which lasted five seasons. In 1989, he hosted the A&E stand-up showcase Caroline's Comedy Hour, and wrote and acted in the comedic short/music video "Going Back to Brooklyn" (a parody of LL Cool J's "Going Back to Cali") with Ben Stiller. He wrote for In Living Color, and co-wrote and produced the movie Celtic Pride, which starred Damon Wayans and Dan Aykroyd. Quinn was hired as a writer and featured player on Saturday Night Live (SNL) in 1996 and became a full cast member during the 1997–1998 season. He established himself on the show with recurring characters and segments such as "Lenny the Lion", "Joe Blow", "Colin Quinn Explains The New York Times", and "Weekend Update". Quinn began hosting "Weekend Update" in January 1998 after Norm Macdonald was fired, and anchored the segment until his departure from SNL in 2000. He commented on a number of highly publicized media circuses, including the Clinton–Lewinsky scandal and the Microsoft anti-trust trial. During his tenure on SNL, Quinn turned down an offer for the role of Scott Evil in fellow cast member Mike Myers's film Austin Powers: International Man of Mystery. Quinn has called the role, which was ultimately played by Seth Green, the only project he has regretted turning down. After leaving SNL, Quinn hosted the short-lived The Colin Quinn Show on NBC in the spring of 2002. The show combined sketch comedy and stand-up in a live-to-tape format. Despite mostly positive reviews from critics, it was cancelled after three episodes. 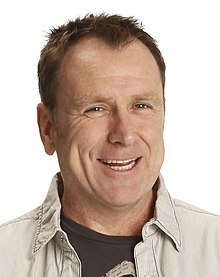 Quinn had greater success with his subsequent show, Tough Crowd with Colin Quinn, which ran on weekdays on Comedy Central from 2002 to 2004. The show featured a panel of four comedians, with Quinn as host, discussing the social and political issues of the day. The show ran for over 200 episodes. His stand-up was also used in the animated series Shorties Watchin' Shorties. In 2005, Quinn participated in a USO tour of American military bases around the world, performing stand-up to entertain the troops. He was the "unofficial co-host" on the Nick DiPaolo show on the now-defunct 92.3 Free FM in New York City, airing Monday–Friday from noon to three. Quinn and DiPaolo were originally slated to host the show together on WJFK-FM, but the station decided not to pick up the show. Quinn was also a regular guest on The Opie & Anthony Show until its run ended in 2014. Quinn played Dickie Bailey, the childhood rival to Lenny Feder (Adam Sandler's character) in both Grown Ups films. He also had a recurring role as Hermie on the HBO series Girls. Quinn wrote and starred in the L/Studio web series Cop Show, which premiered in February 2015. The series stars Quinn as a satirical, pompous version of himself, starring in a New York City-based crime drama. The show's guest stars have included Jerry Seinfield, Dave Attell, Chris Rock, Steve Buscemi, Jim Gaffigan, Michael Che, Tom Papa, Jim Norton, Pat Cooper, Irina Shayk and Amy Schumer. Quinn had a supporting role in Amy Schumer's film debut, Trainwreck, as her character's father. He was critically praised for his performance. Quinn made his Broadway debut in 1998 in a one-man show, Colin Quinn: An Irish Wake, co-written with Lou DiMaggio. The show reflected Quinn's upbringing within the Irish-American community of Brooklyn; it was set at a wake in 1976, with Quinn portraying family members and acquaintances who show up for the event. In 2009, Quinn premiered his second one-man show My Two Cents, which covers the economic crumbling of the American empire. In 2010, Quinn premiered his third one-man show Colin Quinn Long Story Short on Broadway, directed by Jerry Seinfeld. The show covered world history from prehistoric times to the present, offering satirical takes on the rise and fall of various world empires. Quinn recorded a special performance of the show that aired on HBO on April 9, 2011. A Brazilian version of the show featuring comedian Bruno Motta has the title 1 Milhao de Anos em 1 Hora ("1 Million Years in 1 Hour"). In 2013, Quinn premiered another one-man show on historical themes, Unconstitutional, which covers the United States Constitution, its creation, and its impact on the American psyche. Quinn starred in his fifth one-man show, The New York Story, in July and August 2015 at the Cherry Lane Theatre. The show was based upon the experiences chronicled in his book, The Coloring Book: A Comedian Solves Race Relations in America. It delves into his growing up in the ethnically diverse Park Slope neighborhood of Brooklyn and how it has changed over the years into its current state. Seinfeld, who directed Long Story Short, returned as director. In early 2019, Quinn premiered his sixth one-man show, Red State Blue State, at the Minetta Lane Theatre. The show explored contemporary politics in the United States on both sides of the primary political spectrum. Quinn has gained attention for his account on the social network Twitter, where he usually posts deliberately vacuous statements, often in the form of either inspirational statements or boasts about his celebrity status, that are intended to provoke his readers. In conversation with Judd Apatow in 2015 for the David Lynch Foundation Trainwreck tour, Quinn said he had been practicing Transcendental Meditation for five years. On February 14, 2018, Quinn suffered a heart attack in New York. On Twitter several days later, he said he was doing well but if he dropped dead "you would see a funeral like Al Capone!" In 2004, Quinn was named No. 56 on Comedy Central's list of the 100 greatest stand-up comedians of all-time. He was named one of the Top 100 Irish Americans of the year in 2004 and 2011 by the magazine Irish America. ^ "Colin Quinn Biography (1959-)". FilmReference.com. Retrieved June 11, 2015. ^ Rattiner, David (June 2, 2011). "Colin Quinn Talks With Dan's!". Dan's Papers. Southampton, New York: Manhattan Media LLC. In college I stayed on Long Island and went to Stony Brook University. ... I only lasted there a few years, but I never graduated. ^ Rabin, Nathan (June 18, 2003). "Colin Quinn". The Onion A.V. Club. ^ Garamone, Jim (August 25, 2005). "Around the World in 10 Days, Chairman-Style". United States Department of Defense. Retrieved July 18, 2016. ^ Holcomb-Holland, Lori (3 February 2015). "Colin Quinn's Streaming 'Cop Show' to Satirize Police Dramas". Arts Beat. New York Times. Retrieved 3 February 2015. ^ Rosen, Christopher (July 23, 2015). "Colin Quinn is legit good in Trainwreck". Entertainment Weekly. ^ a b Galchen, Rivka (June 3, 2013). "Framers Reframed". The New Yorker. ^ "Colin Quinn: Red State Blue State | Minetta Lane Theatre | Theater in New York". Time Out New York. Retrieved 2019-02-01. ^ "The Trainwreck Comedy Tour". David Lynch Foundation. Retrieved 25 January 2017. This page was last edited on 3 March 2019, at 18:54 (UTC).